Some names are here to stay. People who choose these names deserve credit. One such a name is Hard Rock Hotel and Casino. Most noteworthy, this is a genuinely 5-star facility in Las Vegas, Nevada. You can find Hard Rock Hotel and Casino at 4455 Paradise Road in Las Vegas Nevada 89169-6574. The resort is off the Strip. Do you want to gamble, eat, drink, swim, walk around and then sleep? There are many other things you can do at the resort. Above all, This is a full-house. At Hard Rock, there is everything you need to be happy. Nonetheless, this is the nature of many facilities in Las Vegas. Owners and operators of these hotels are sensitive to your needs. The facility is home to high-end restaurants where you can dine from any time. Culinary Dropout and Nobu are some of the restuarants you can visit. It is also home to one of the craziest pools in Vegas. Many people visit here. It doesn’t matter the season. You will always find people at the pool whether it is day or night. A list of nightclubs will rock your night. Hard Rock is one of the Vegas facilities that welcome high-profile musicians. They come and entertain the crowd on regular occasions. No one can talk of Hard Rock without the mention of an on-site tattoo parlor. There are many other things you can enjoy while at Hard Rock. Do you want to see something more interesting? Watch out for the iconic memorabilia. Many people argue that this is an incredible thing. Indeed it is. The owner of the casino says the iconic structure cost a whopping $4 million. Maybe you want to know what this iconic structure has. Well, you have to know that there are many things here. Apart from Keith Richard’s guitar, and the Prince’s Purple Rain, there is something more. You will encounter an elaborate Michael Jackson statue at the entrance. The hotel sits on a 19.7 acre land off the Strip. In fact, most people say that they are not familiar with Paradise Road. Above all, this is a four-lane highway that takes you straight into the facility. Close to fifteen minutes walk from the facility, you will meet several hotels. There are malls, several stalls from where you can buy anything you need. What is more is that the Hard Rock owns and operates shuttles. Also, this is a free hourly shuttle to Fashion Mall Show. If you want to enjoy the attractions along the 3½ miles strip, just visit the Hard Rock. · The 11-floor tower has 640 rooms and suites. · 17-floor Paradise Tower has 490 rooms and suites. · 15-floor HRH Tower has 366 suites and eight spa villas. · The interior of every tower is different. There are various decorations and paintings for different towers. · Every room in the HRH Tower is a suite with a large bathroom. · The interior decor is tamer and traditionally luxurious than in the other two. The tower has a separate lobby from the central hotel. It also has well as its spa. 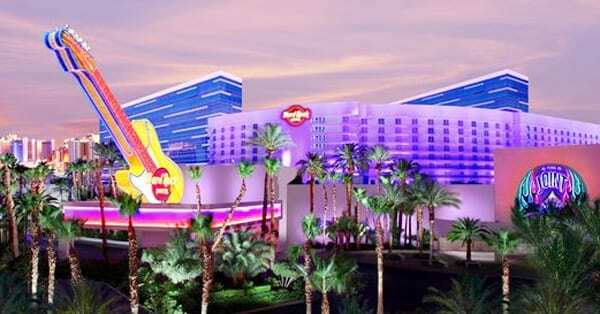 You will love staying at Hard Rock Hotel and Casino.